Sun., May 27, 2018, 9:04 a.m. So Yang combined his Google money with his mom’s, and with less than $1 million in seed capital he moved from California to Shenzhen, a hub in southern China for technology companies. Seven years later, Anker Innovations Technology Co. sells products ranging from smartphone chargers to portable power banks on Amazon.com. And it’s getting even bigger after recently reaching a deal to put products in almost 4,000 Walmart and 900 Best Buy stores in the U.S. 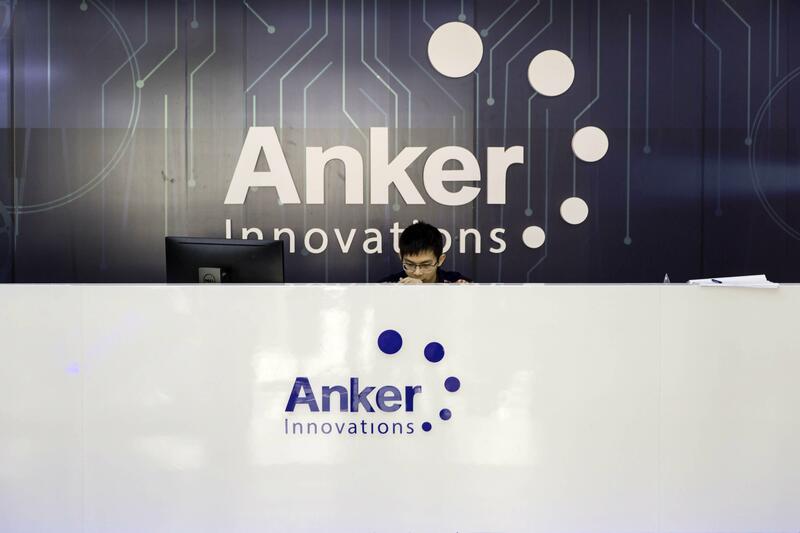 Recent trades on China’s over-the-counter New Third Board market valued Anker at about $1.1 billion. Yang, 36, and his wife have a combined stake of about 54 percent, according to a Bloomberg analysis of the company’s first-quarter report for 2018. Anker offers chargers that are alternatives to those from companies like Samsung Electronics or Apple and come with proprietary PowerIQ technology, which detects each phone’s maximum wattage to help minimize charging times. Yang also has branched out into just about every other smartphone-related gadget, including cables, headphones and wireless charging pads. And he’s making household products like robotic vacuums under the Eufy brand. “We really put a lot of love, and hate, into our products,” Yang said, referencing the year-long tedium of shrinking the vacuum robot down to 2.85 inches in height so it could fit under couches. As smartphone maker Xiaomi Corp. prepares for a Hong Kong initial public offering, Yang figures the timing may be right for him, too. He’s studying the possibility of going public in China, Japan, Hong Kong or the U.S.
Yang has taken on several funding rounds over the years, and investors are coming knocking again. Jumei International Holding, a U.S.-listed Chinese beauty e-commerce firm, bought a 60 percent stake in Anker’s powerbank-rental unit last year for 300 million yuan ($47 million). Anker’s revenue surged 56 percent in 2017 to 3.9 billion yuan, and profit grew 9.9 percent to 356 million yuan, according to its annual report. It has offices in Seattle, Dubai, Tokyo, Shenzhen and Changsha, China, according to its website. Almost half of its revenue comes from the U.S., but China sales doubled last year. Like many China tech companies, Anker is also following President Xi Jinping’s goal of making the nation a leader in developing artificial intelligence, and it has a lab for developing facial recognition for security purposes. Its expansion has come as Yang seized opportunities created by gaps in the technology industry. In the smartphone business, he targeted the opening between Apple’s expensive chargers and low-quality, white-label replacements. Anker occupies the space between five-star and three-star Amazon reviews (most Anker products have about four). That is Yang’s sweet spot, where he creates an accessory that isn’t the most expensive but still is of good-enough quality to win consumer trust. These days Yang is also hoping tensions around a trade war between China and the U.S. don’t escalate. Nearby is the Shenzhen campus of telecommunications giant ZTE Corp., which had to shut major operations after a Trump administration ban on its ability to buy U.S. technology. Trump earlier this month tweeted that he was working on a way to get ZTE back into business. One of Anker’s great advantages is that it’s embedded with the supply chain in Shenzhen. The city was a fishing village just four decades ago, until Communist Party Chairman Deng Xiaoping turned it into the country’s first Special Economic Zone as part of China’s economic opening. It blossomed into the world’s electronics manufacturing hub, with the vast majority of consumer electronics produced there. It’s now evolving again as entrepreneurs like Yang follow big names Tencent Holdings Ltd. to Huawei Technologies Co. in setting up shop. Yang recruits from a large talent pool in Shenzhen, and he’s hired some fellow ex-Googlers: the former China sales head and two product developers. Each of the company’s offerings is designed by fiefdom-like teams that sometimes crowdfund their early-stage prototypes. At the Shenzhen office, they’re seen scribbling notes onto transparent conference walls. Yang grew up in central China’s Changsha and studied computer science at Peking University and then at the University of Texas at Austin. He developed his programming skills in five years at Google. Two years before leaving the company, he built an automated system for his girlfriend (now his wife), who was selling women’s accessories and other products on Amazon as a side business. The system fixed inventory, logistics, fulfillment and tracking of sales, and it began fulfilling 300 orders a day. But he had to learn hardware from scratch when he started Anker. Mobile-phone batteries haven’t changed all that much since before smartphones. Dying batteries remain a bane of the digital age, and researchers are already looking for solutions. So, although Anker’s chargers are a best-seller, Yang is already preparing for the day they will be obsolete, pushing products like Anker’s $14.99 wireless charging pads. “She said: If you think this business is going to be something, then take my own money,” Yang said. Now, to keep the business growing, Yang will have to stay relevant in a fiercely competitive global market. Published: May 27, 2018, 9:04 a.m.